I love this water cleansing system! Great tasting healthy water. 5 minutes to change filter..twist 3 out..twist 3 new filters in..anyone can do this! 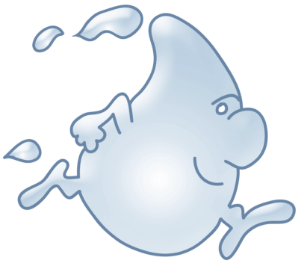 Q: how much water do you need to run through filters after changing before it is safe to use? Q: Hi, If you don't have this filter, what is the replacement for that ???? A: At the very least 1 full minute. I run 2 gallons through mine, measured by 1 guart plastic tea cup. Q: WHAT IS THE REPLACEMENT FILTER FOR wHEMBF? A: Whirlpool has temporarily pulled this item. As soon as they have been released we will update our site. We have no ETA at this time. A: Until it stops burping air depending on the water pressure 5 to 10 min. You will taste the difference right away these are great. Q: Do these filters meet same standards as original from whirlpool? A: The rated capacity for this system is 350 gallons (1325 liters) at a rated service flow of 0.74 gallons per minute if your tank is operating within the required water pressure. 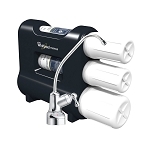 This system works on water pressures of 30 psi (minimum) to 100 psi (maximum). A: I have had these filters for 1.5 years and the water pressure is a lot lowers than the normal faucet. Seems pretty normal. A: Two things. One, is this a new set up? If so, no, that is not normal. Read the minimum water pressure required. Two, if it is not s new set up, then your filters are ready for replacement. We had rust from hydrant flushing, caught by our filters, requiring us to change them a little earlier than recommended. This is under the assumption your are not using a saddle valve, which can rust open or shut, and impede water flow. A: Yes in order to filter the water it must pass through very small spaces so it gets restricted a bit dropping the output pressure. However the end result is well worth the wait. You could ask a plumber about a booster pump and have him take a look at the pipes sometimes steel pipes themselves get restricted and need to be replaced. 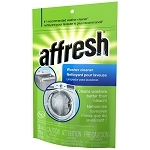 A: Need these replacement filters and have had good business experience with WaterFiltersFAST. A: A great place to order replacement filters. A: It goes to the filtration system we have and we are happpy with the system - hard to find replacement parts. A: Good price, convenience of online ordering. Replacement parts required for home maintenance. A: I own the filter system. Q: which # is the membrane? A: Makes a lot better coffee and we don't buy bottled water any more!